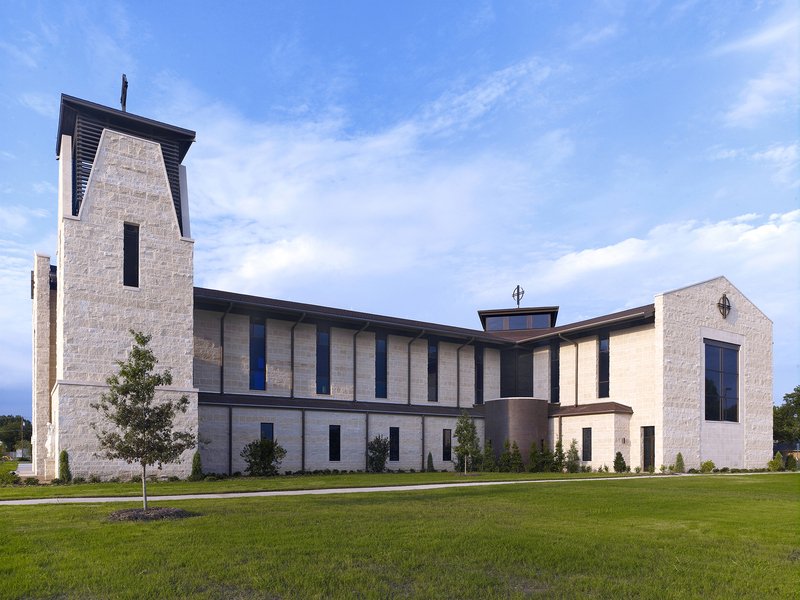 The new home for growing parish of St. Michael the Archangel Catholic Church was designed to reflect traditional and historical church design both inside and out while keeping costs down. 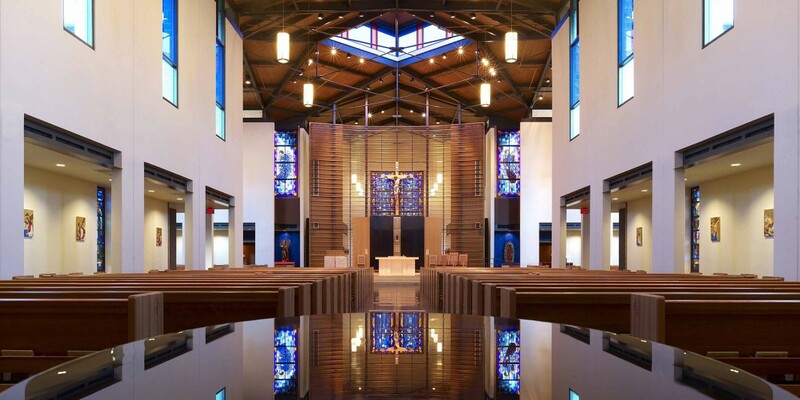 Beck’s design team developed a phased master plan that included a new sanctuary, education building, and parish hall. 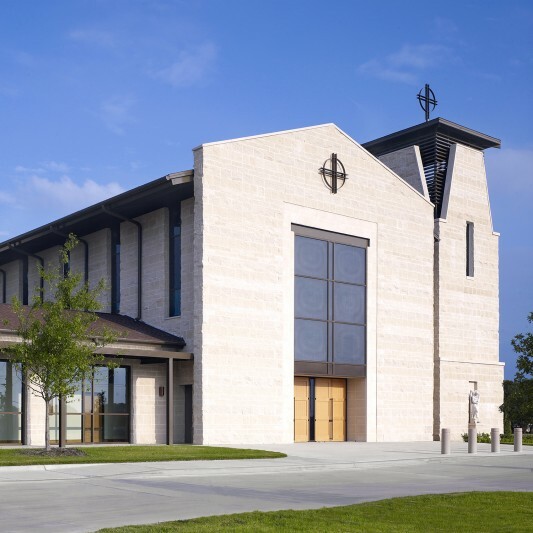 The heart of the master plan was the new sanctuary, which afforded an opportunity to not only grow, but also to celebrate the timeless traditions of Catholicism. 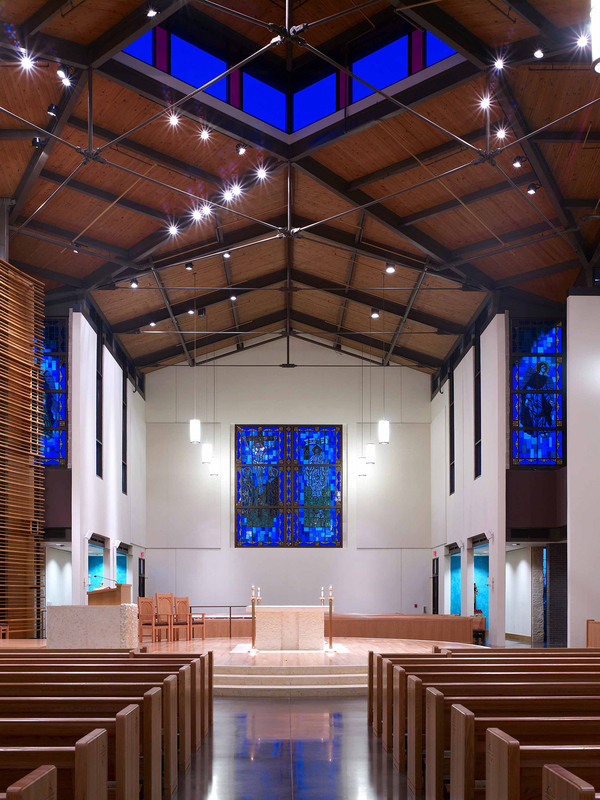 Built by Beck, the new building includes the 1,000-seat sanctuary, chapel, additional classrooms and renovation of the previous sanctuary into a parish hall. 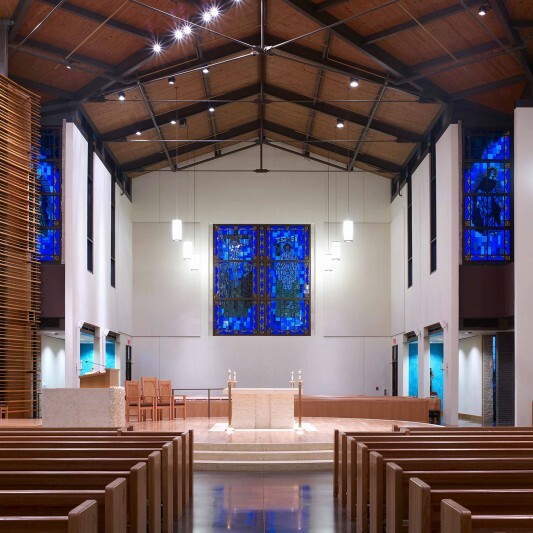 It was important to the congregation that the design of the building emphasize historic church architecture in form; however, there was the modern reality of construction costs which limited the re-creation of any grand cathedrals. 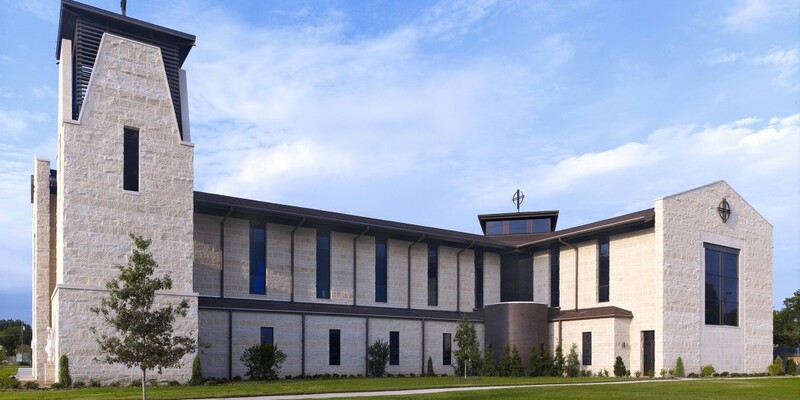 The classic cruciform building design echoes historic church sanctuary forms while using simple materials such as concrete block and concrete tilt wall. 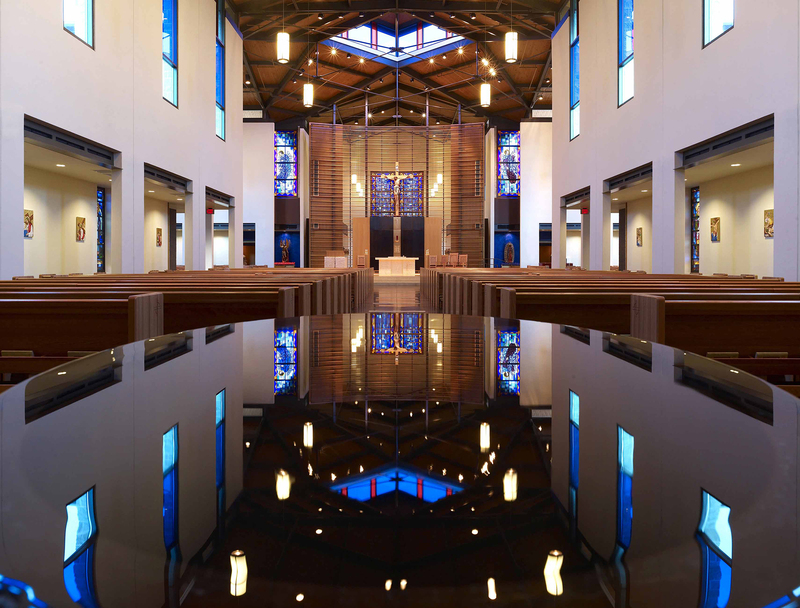 This simple building shell allowed for beautiful detail and materials to be applied to the interior such as the altar and baptismal font. 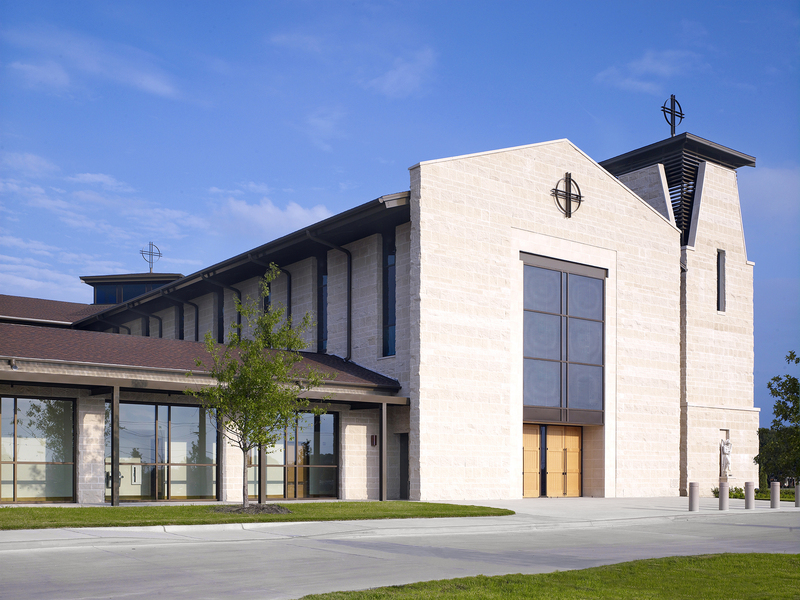 The resulting elegant, simple building meets the needs of the congregation while honoring timeless Catholic tradition.